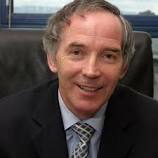 We have some wonderful events coming up in April and May starting with Secrets of Meditation with Davidji and going on to a bullying seminar with John Lonergan (pictured above), Dr Tony Humphreys on Teenagers, Nadine Ferris France on The Work. We look forward to welcoming you at these events! We love these intimate events with an audience of 50-60 people as people can really get involved, ask questions and it builds a community of like minded people. We also have an exciting speaker planned for March, Fran Bennett, and will be posting information on this shortly.